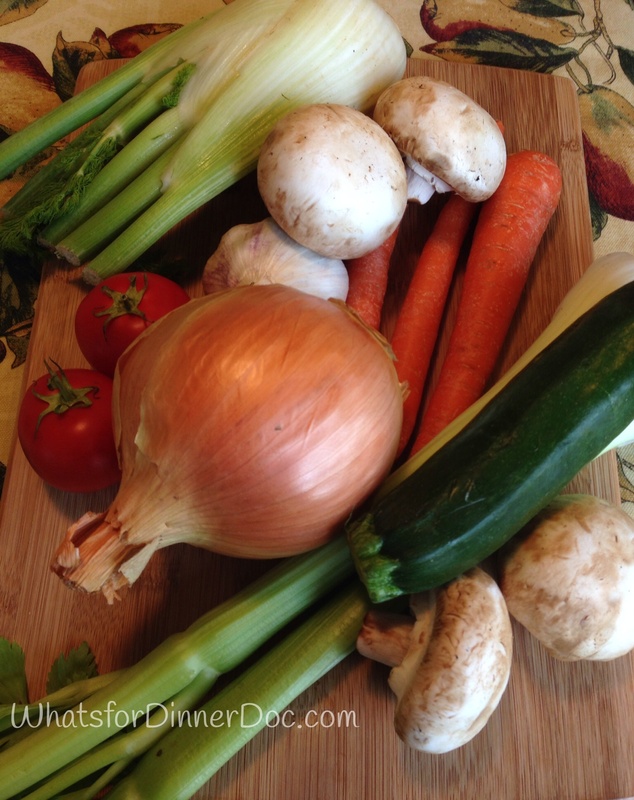 Vegetarian Bolognese and Zucchini Noodles, Fiesta Friday – What's for dinner, Doc? Fiesta Friday, Recipes, Vegetarian, What's in the box? Cutting carbs? 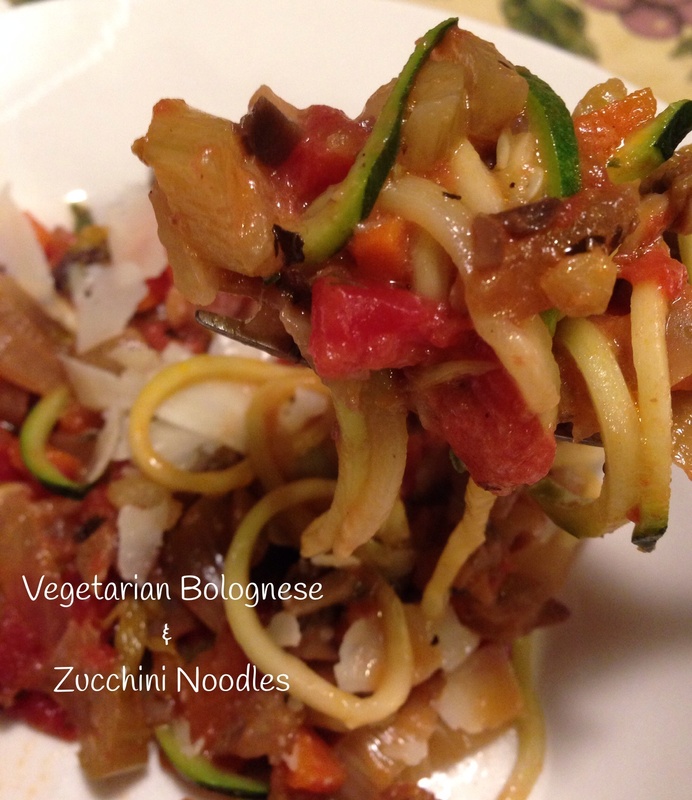 Try this delicious vegetarian, low carbohydrate Bolognese over zucchini noodles. The mushrooms lend a nice meaty texture, the sauce is loaded with vegetables and the mascarpone cheese gives it a decadent creamy finish. 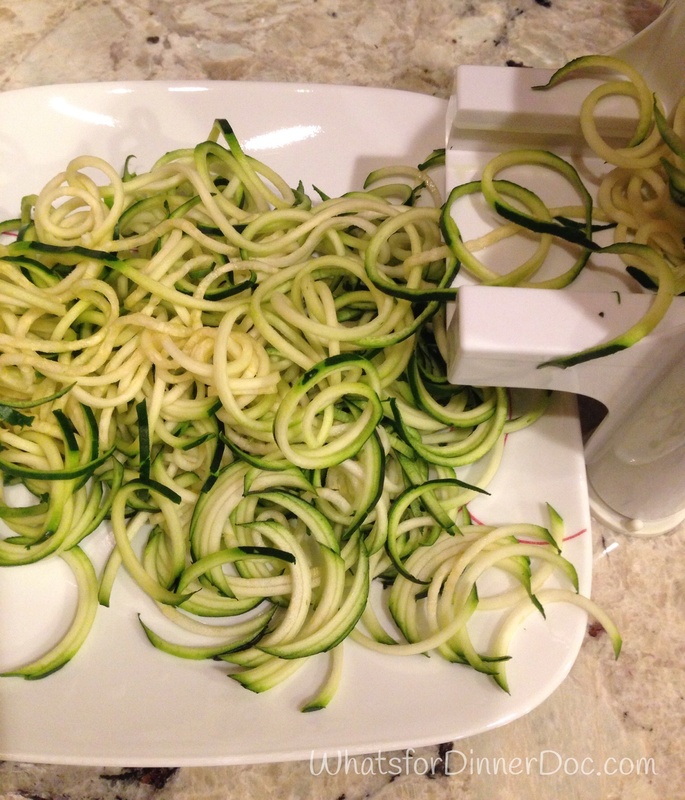 Zucchini noodles are low in calories and carbohydrates with a pasta mouth feel. I use this Paderno World Cuisine A4982799 Tri-Blade Plastic Spiral Vegetable Slicer spirilizer from Amazon*. This meal can be enjoyed with a fresh Italian salad. You can make it vegan and paleo by substituting a vegan cashew cream. I’m taking this dish to Fiesta Friday hosted by Angie at TheNoviceGardener. Sauté garlic and onions in olive oil until translucent. 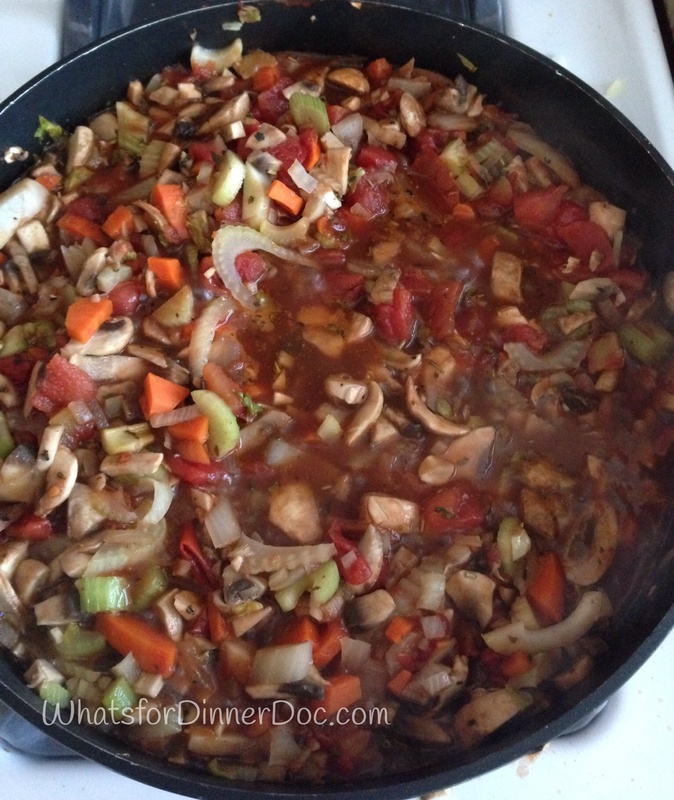 Add remaining vegetables and cook until soft about 10 minutes. Add herbs, tomatoes and wine. 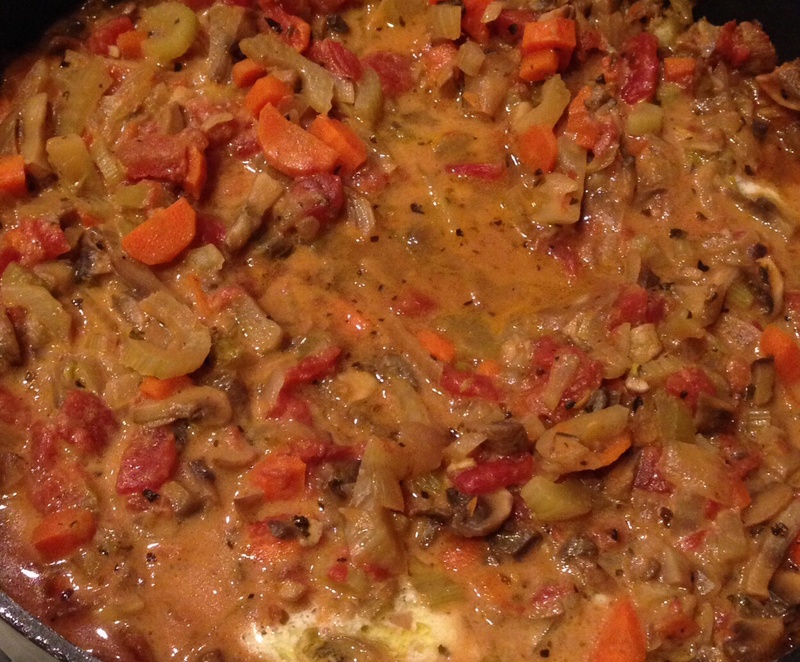 Simmer 30-60 minutes. I prefer a longer simmer to meld the flavors. Just before ready to serve, add mascarpone cheese and stir until melted and combined. 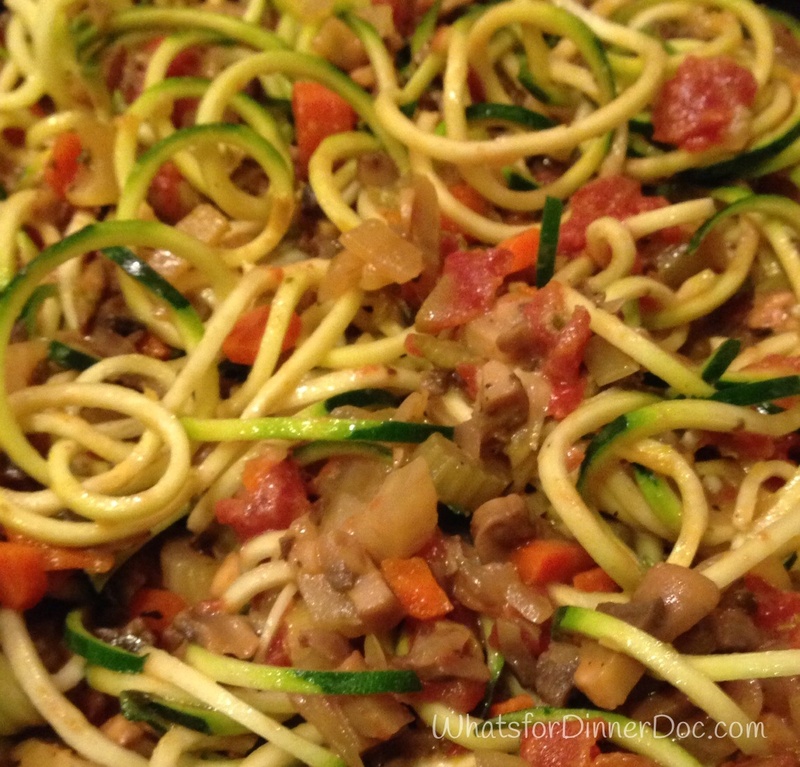 Add zucchini noodles to sauce and simmer 5 minutes to warm noodles but keep crisp tender. Serve with shaved parmesan if desired. * Affiliate link. I receive a few cents if you make a purchase. Zucchini Noodles! ZOOOODLES! 🙂 I love them! I recently made shrimp scampi with them and was looking for something else to try, this is perfffect! Nice and healthy so you don’t have to feel guilty, I love it. Happpyyy Fiesta Friday! Thanks for hosting Stephanie. I love zunoodles too. I really don’t miss wheat pasta with a great sauce. Shrimp scampi and zunoodles, sounds delish. I’ll check it out. I hope you try it. The more veggies the better. Tracy, you should get one. They’re super cheap about $35.